Mister Lee’s Noodles in the Easton Public Market has recently been named to the list of the 28 Best Ramen Restaurants “from Coast to Coast” by the Food Network. 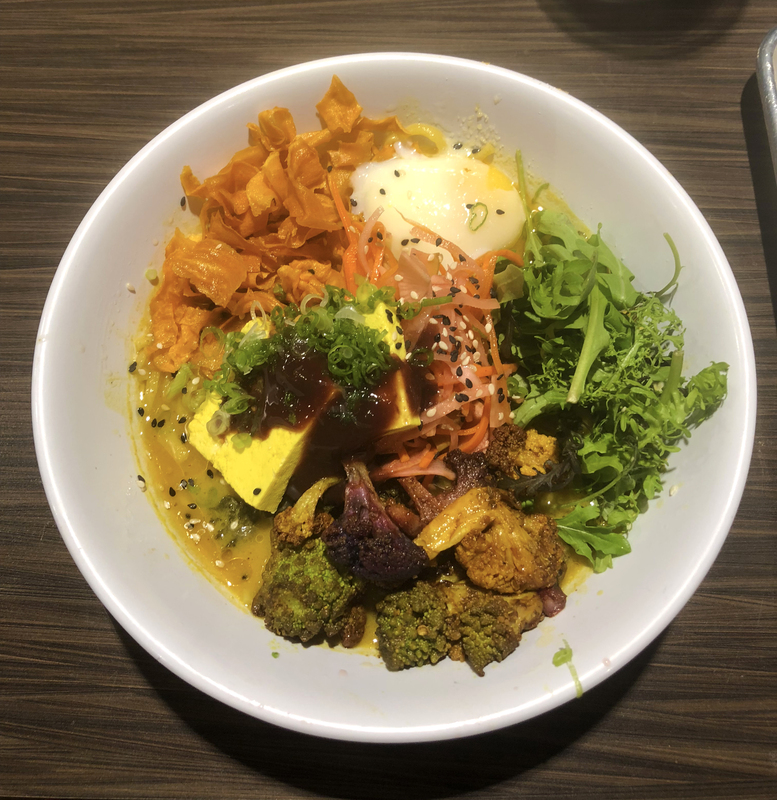 The ranking comes around the same time that the popular downtown restaurant surpassed its record for most bowls sold in one day, selling 440 bowls, according to employee Paige Santelli ’19. Mister Lee’s Noodles was the Lehigh Valley’s first ramen noodle bar and has been a part of the Easton Public Market since it opened in April 2016. Manager Cory Rohrbach, who has been with Mister Lee’s from the start, said that ramen was “long overdue” in the area. “We filled a big gap there, just giving access to people in the Lehigh Valley and in Western New Jersey… [you can get] some ramen without driving to Philadelphia or New York City,” Rohrbach said. Santelli, who has been working at Mister Lee’s for over a year and half, said she believes that the restaurant’s success can be attributed to it’s dedication to working with local farmers for the freshest ingredients possible. Rohrbach agrees with Santelli, and said that Mister Lee’s tries to really focus on farm-to-table food. Some of the local farms Mister Lee’s sources from include Scholl’s Orchards, Salvaterra’s Garden, Wild Fox and Iron Stone. As a result of sourcing locally, the menu often changes to feature seasonal bowls. Mister Lee’s is a branch of Bolete, a sit-down dining restaurant located at the old Stagecoach Inn in the Lehigh Valley. Santelli said that as part of the Bolete family, the expectations for high service and quality carried over to Mister Lee’s. Rohrbach echoed Santelli’s comment, saying that these expectations have also been key to the restaurant’s success. “We want to take all of the best and most important things in the way we operate Bolete and distill it down and make it accessible to people to just swing by and just grab something,” Rohrbach added. As far as the bowls themselves go, Santelli and Rohrbach both said the fried chicken bowl is by far the most popular. However, Santelli urged people to branch out and try the wide variety Mister Lee’s has to offer. Aside form offering great food, both employees also noted the closeness of the staff, of which some Lafayette students are a part of, and how that contributes to the work environment. “Lafayette students have always been a really key part of our family here…we’re always super excited to have students who want to come and learn and have a family away from home and work really hard and get free noodles,” Rohrbach added.